EL PASO, Texas (AP) — Democratic presidential candidate Beto O’Rourke declared that immigrants make the country safer as he staged rallies across Texas on Saturday to formally kick off his 2020 White House bid, looking to shore up his deeply conservative home state and champion the U.S.-Mexico border at a time when President Donald Trump has threatened to shut it. A small but vocal group of El Paso Trump supporters had other ideas, gathering a few blocks away from the event to shout anti-O’Rourke sentiments for hours. Texas hasn’t elected a Democrat to statewide office in 25 years. 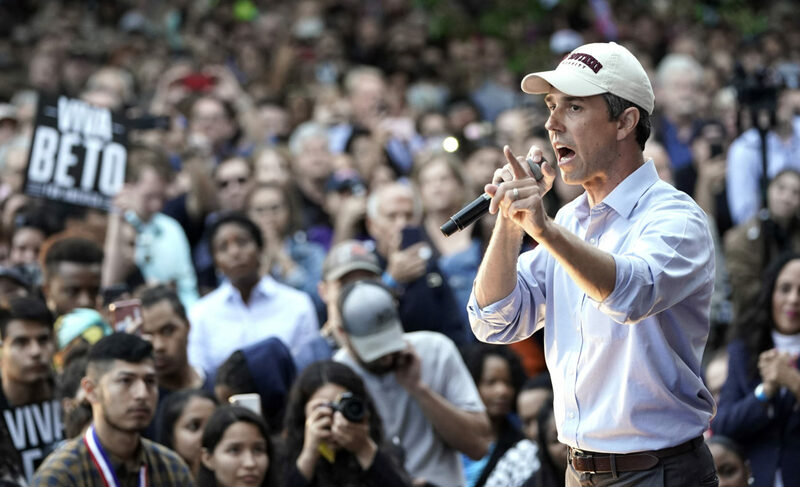 But O’Rourke came within 3 percentage points of topping Cruz, and his party is hoping that a booming Hispanic population and large numbers of new residents moving in from other states could keep Texas close in 2020 — potentially reshaping the electoral college. California Sen. Kamala Harris dew a large crowd last weekend when she too visited Texas Southern.